Welcome To Life Purpose Books! Get my FREE course, Successful Book Promotion In 4 Easy Steps! Sign up today and become a part of our community. I've used the information included for mainly books, but also my services and products. Get it in PDF download or Flipbook if you don't want to download your copy. Every new author needs this information! Grow In Christ, Grow In Life! Should Christians Prosper In Business? Yes! God Needs His Children To Be Blessed! Learn how to trust Jesus to lay the foundation of your business or you risk great loss not only in business but from within your heart. We need to keep God at the center of whatever we do in our personal lives as well as business. When we do, we will desire to be the financial blessings to God He needs us to be so that we can spread the Gospel of Jesus Christ. I Corinthians 3:10 "By the grace God has given me, I laid a foundation as an expert builder, and someone else is building on it. But each one should be careful how he builds." Easy To Put Into Practice! What Is The Christian Weight Loss Project? First, I'll tell you what it's not. It's not a diet, program or fad diet that's going to starve you or ruin your health. 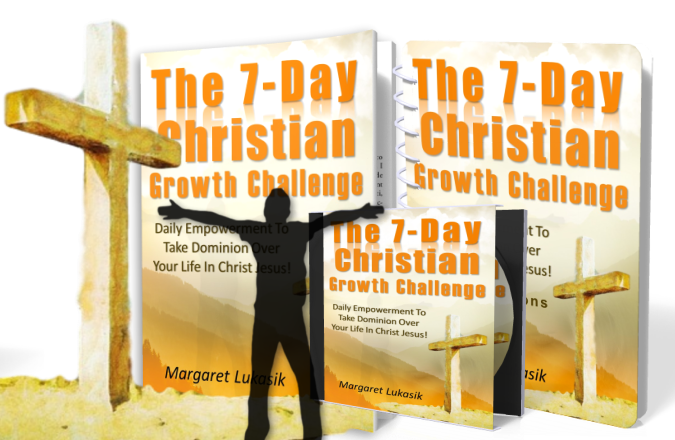 It's a project that teaches you how to use God's Word to overcome the problem of weight gain while you develop a strong foundation of Jesus Christ at the same time. The Project serves as a guide for using scripture to put health first with the reward of achieving one's perfect weight. It's an exciting lifestyle that will effect all areas of life. Learn how the Word will always accomplish what it was sent to do and in this case it's weight loss. Learn my 3-step formula that will change your life spiritually, physically and intellectually for good health and weight loss in Christ Jesus! Our Site Is Actively Helping Authors. See What's New! Take a look at these comprehensive writing resources. Get helpful tips and strategies for your specific writing needs. Rev. James S. Casimier, Jr., Th.D. Kindle Book Creation Review By Rev. James S. Casimier, Th.D. Margaret Lukasik is a godsend. I engaged her services to promote my most recent book, What Happens After Death. Everything about the transaction went beyond my wildest expectation. Margaret was more concerned about the integrity of the treatise than she was about the monetary aspect of the transaction. Margaret not only answered all of my questions, but she was in constant contact with me. She responded to my emails as if they were text messages. Because of my Christian growth and life purpose short studies and articles, I target an audience looking to better understand the Bible by means of books, Bible studies, articles and even entertainment. This is why my site is the perfect environment to share Christian information, how-to books, novels, videos, audio or products that reflect Christian life purpose, evangelism, Christian growth, movies and more. You'll reach an audience of targeted visitors looking for what you may have to sell. Go to my Promotion Information Page to see more titles. Get Successful Book Promotion In 4 Easy Steps FREE See Below!